There are a few things to consider when purchasing new tires for your car. Check them all in this guide to make sure you buy the right ones and avoid costly and potentially dangerous mistakes. The sidewall of a tire can be seen on the exterior rubber surface and contains unique identifying information that is divided into 3 distinct sections: the tire specification, DOT code and UTQG code. The DOT code, or Department of Transportation code, is the mark that signifies whether a tire complies with all the agency's safety standards. Following this code is the tire's identification number, which includes the tire's plant and manufacturer code, and the date on which the product was manufactured. The UTQG code, or Uniform Tire Quality Grading, was brought in by the National Highway Traffic Safety Administration. This code represents the scoring achieved by a tire based on the NHTSA's recommended test methods: tread wear, traction, and temperature. Treadwear is graded from a baseline of 100, with higher figures meaning better longevity. Traction is graded AA, A, B and C, from best to worst, and temperature is graded A, B or C, again from highest to lowest. A) What weather conditions do you take the car out in? Do you solely drive in dry weather and on dry roads, or could you face rain, snow, and ice? B) On what types of roads will you take your car? Will you be limited to driving on city streets, or will you be regularly driving dirt or gravel roads? ​C) What is your usual driving style? Do you prefer tight, responsive cornering, or do you prefer a comfortable ride? Tires need to be able to handle an array of different weather types, from hot temperatures, to rain, snow and ice. All these factors have an impact on tire performance, so you need to know how each condition affects tire choice. If you drive exclusively within a warm climate, where the temperature never drops below zero, then you should aim for summer tires. All-season tires can also be used but might be overkill. Conversely, for seasonal climates, you should own either an all-season set of tires, or a combination of 2 sets: one for summer, and another for winter. Different road conditions call for distinct, well-suited types of tires. This factor is slightly more complicated than seasonal factors. For driving on city streets, you'll want to consider the braking distance, longevity of treads, and fuel economy afforded by your prospective tire choice. For highway driving, consider braking distance, responsive handling and noise reduction or comfort. Finally, for dirt, gravel paths and other unpaved roads, look for off-road traction and durability. Finally, consider how you like to drive and the kind of connection to the road that you want. If you favor a comfortable, quiet drive, then aim for tires that specialize in these features. Conversely, if you want to feel every bend in the road, then you should aim for products that highlight responsive handling, with higher speed ratings. Can I buy larger or smaller tires for my vehicle? For safety purposes, it's recommended that you only purchase tire sizes that are recommended by the vehicle manufacturer. Never opt for a tire that can support less load than was supplied when the vehicle was purchased. ​Can I combine several types of tires? Again, for safety purposes, the same type of tire should be fitted to each corner of the vehicle, as combining multiple types or sizes of tire can result in instability and uneven handling. The only exception is if the manufacturer recommends different tire sizes to be used between the front and rear tires. Can I replace just 2 tires at once? Though it's recommended that you ideally replace all 4 tires at once, you can replace 2 if you're restricted by budget. However, you should ideally fit the new tires to the rear axle of the vehicle, as these tend to wear down more quickly. You should also aim to ensure that you fit the same type and size of tire. 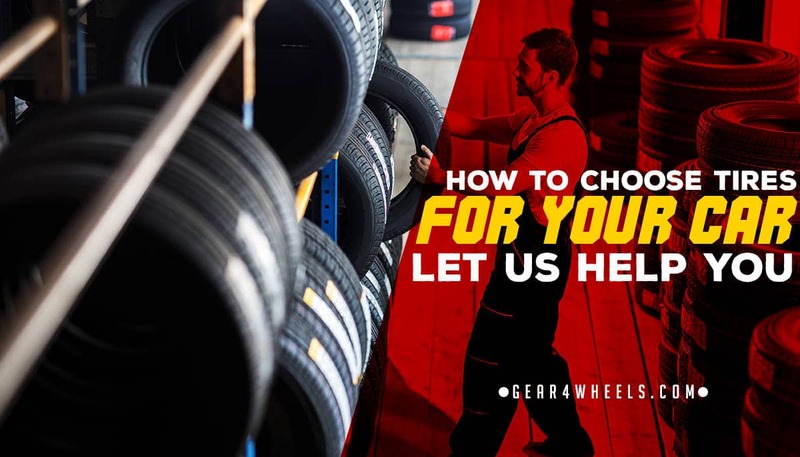 It's best to be prepared when going to a tire dealership, as the more informed you are, the more likely you will find the right tire easily and have confidence in your choice. A) What tires would you recommend for me and my vehicle? B) Based on this information, what brand and type of tire would you recommend? C) What makes you recommend this type of tire? D) Does the price include the costs of balancing and aligning the tires? E) Do I get any other services as part of the purchase? By being prepared for the scenario, you can avoid being talked into more expensive products or insurance packages that you may not even need, or that may not be as compatible for your vehicle.